[toc]Hot flashes are a common symptom faced by menopausal women. While consulting your gynecologist is very vital during the time for which you are experiencing menopause, hot flashes can also be treated using herbal remedies. Some of the best herbs for curing hot flashes include Chasteberry, Black Current, Dandelion, Red Clover, Wild Yam, Black Cohosh and Dong Quai. These herbs tone the uterus and relieve the symptoms of menopause such as hot flashes. Remedies for hot flashes should also be coupled with medication in chronic cases or if the situation is unbearable. Natural option are always better because they do not come with any side effects. 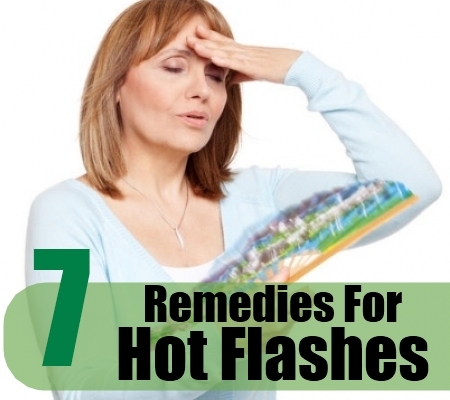 This article covers some of the leading herbal remedies for hot flashes. The botanical name of this herb is Vitex Agnes-castus. It is also known as Monks Pepper and Chaste Tree. This herb originated in Europe and it is native to the Mediterranean region. This herb helps to balance the functioning of the pituitary gland thereby remedying hot flashes and dizziness caused during menopause. The herb also helps to lower estrogen in the body which helps to ward off menopausal symptoms such as hot flashes. It also raises the levels of progesterone in the human body which is vital for stabilizing some of the key complaints during menopause. This herb plays a vital role in the secretion of follicle-stimulating hormone and regulation of luteinizing hormone during menopause. The tincture of this herb can be taken for best results. Dried or fresh berries of this herb can also be ingested for benefits. Drink tea made from this herb’s berries for curing hot flashes. Dong Quai is also referred to as Chinese Angelica. This herb is botanically known as Angelica Sinensis. It is an herb that has been found efficacious in the treatment of hot flashes and other problems commonly linked to menopause. The herb is good for dilating blood vessels thereby enhancing and increasing circulation. Don Quai also modulates the temperature of the body and regulates estrogen levels in the body which help to ward off hot flashes. You can make tea from this herb and drink it for best results. You can also take some tincture or extract containing this herb for good outcomes. Red Clover’s Latin name is Trifolium Pratense. This herb possesses phytoestrogens which regulate the levels of hormones in the body and ease menopausal hot flashes. 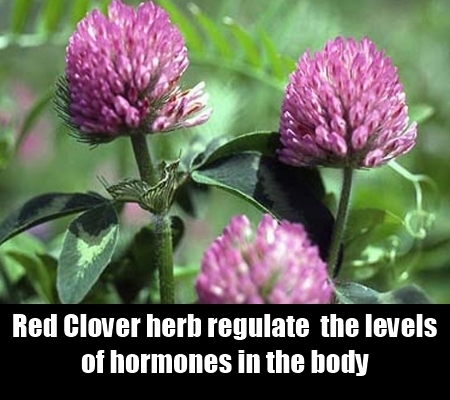 Red Clover is useful for improving uterine health and toning the reproductive system. This herb has mimics the effect of the hormone estrogen on the human body. Research has also found that the isoflavones present in this herb eliminate the hot flashes linked to menopause. Isoflavones are phtyoestrogen compounds which elevate estrogen levels in menopausal women and ensure that hot flashes are reduced. Red Clover tea can be prepared using the leaves of this herb and taken consistently for good outcomes. The herb is also rich in important vitamins and minerals, like ascorbic acid, calcium, magnesium and potassium which are effective for ensuring good female reproductive health. The Latin name of this herb is Actaea Racemosa or Cimicifuga Racemosa. 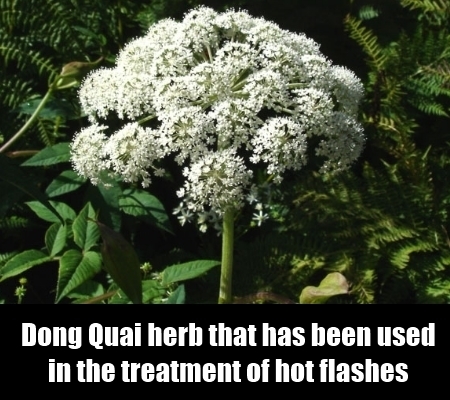 This herb is also used to relieve menopausal symptoms such as hot flashes. Hot flashes are as effectively reduced through the intake of this herb as the attempt to lessen them using hormone replacement therapy. 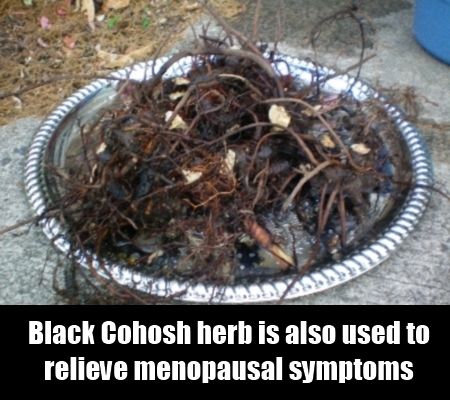 Black Cohosh reduces or lessens the quantity of lutenizing hormone in the body, which helps to eliminate hot flashes. 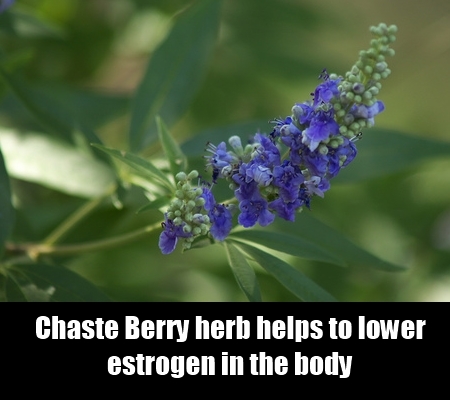 This herb mimics the effect of estrogen in the body. It takes a few weeks for this herb to start taking effect. This herb can be taken as a supplement for ensuring relief from the symptoms of menopause such as hot flashes. Women who are diagnosed with a heart condition, or are on medications for lowering blood pressure should not opt for this herbal remedy. Those who are on oral contraceptives or taking estrogen supplements should also avoid the use of this herb. The Latin name of this herb is Oenothera Biennis. 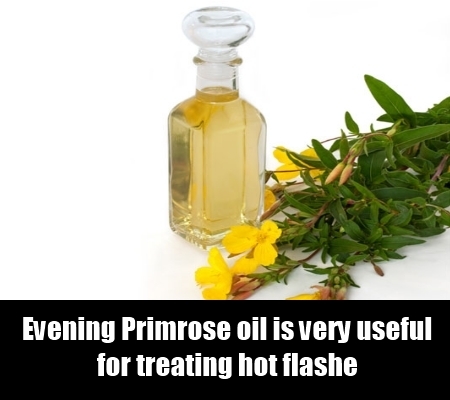 Evening Primrose oil is very useful for treating hot flashes in menopausal women. The oil made from this herb can be massaged on to the body to induce a feeling of relaxation and calmness. Stress induced hot flashes can be alleviated using this herbal oil. The vital aspect of this herbal oil is that it can be mixed with other fragrant oils and used for aromatherapy as well. Those on phenothiazine or anticoagulant medications must not use this herb. The Latin name of this herb is Pueraria Lobata. It is also called Owhi. 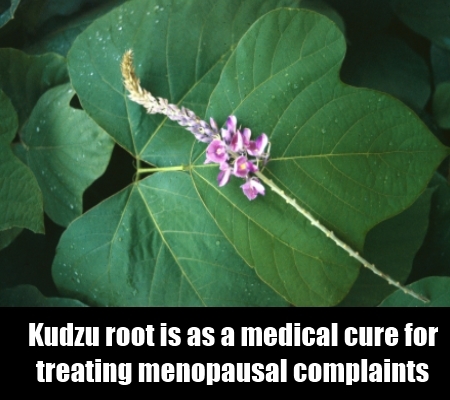 Kudzu root has long since been used as a medical cure for treating menopausal complaints such as hot flashes. The estrogenic activities of this herb are due to the presence of phytoestrogens in its roots and flowers. This herb has the benefits all the benefits that chemical means for balancing estrogen do. An added advantage is that this herb is also a natural product which can alleviate symptoms without any toxic side effects. You can make tea brewed from the root or flowers of this herb for eliminating hot flashes. Hot flashes can be remedied using a tincture or extract made from this herb as well. 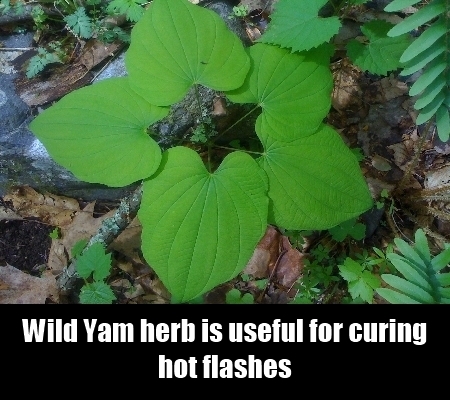 Another herb which is useful for curing hot flashes is Wild Yam. Its Latin name is Dioscorea Villosa. Wild Yam contains phytonutrients which balance the hormonal levels in the body and maintain required levels of progesterone in the body. Progesterone is vital for regulating glandular balance to prevent or reduce hot flashes in menopausal women. Wild Yam root can be boiled in water for about 14 to 20 minutes and then left to simmer for some time. The liquid should be strained and consumed for healing women who are suffering from hot flashes. This herb can also be taken in extract or supplement form for good outcomes. Wild Yam is also known by other names such as China Root, Devil’s Bones, Rheumatism Root, Colic Root, Yuma, Mexican Yam and Rheumatism Root.